There are days when I’m so motivated to eat healthy and workout. But to be totally honest, most days I just don’t feel like doing anything at all. 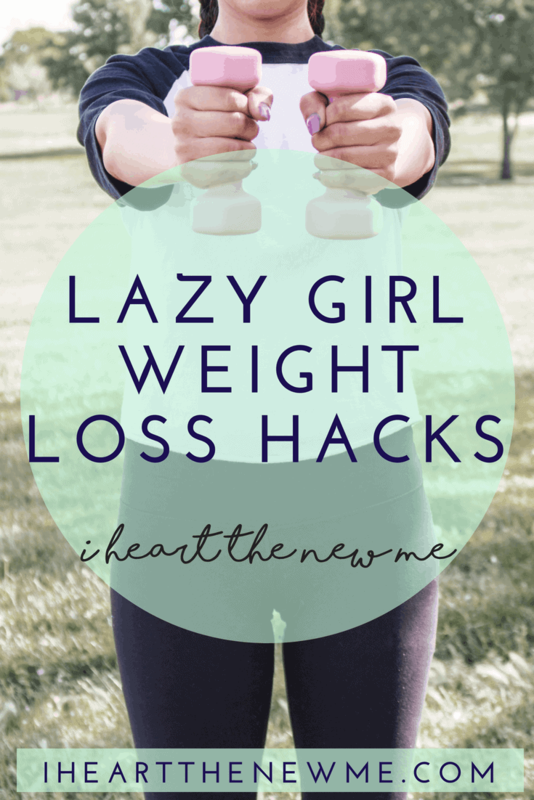 That’s why I love lazy girl hacks! I do some of these things all the time and some of them only when I notice my pants are getting snug (yeah, I know I should do them before I get to that point lol). It’s okay if you don’t do all of these things all the time. Just do what you can. Have a lot of weight to lose and feel like you never will because you don’t have the determination? 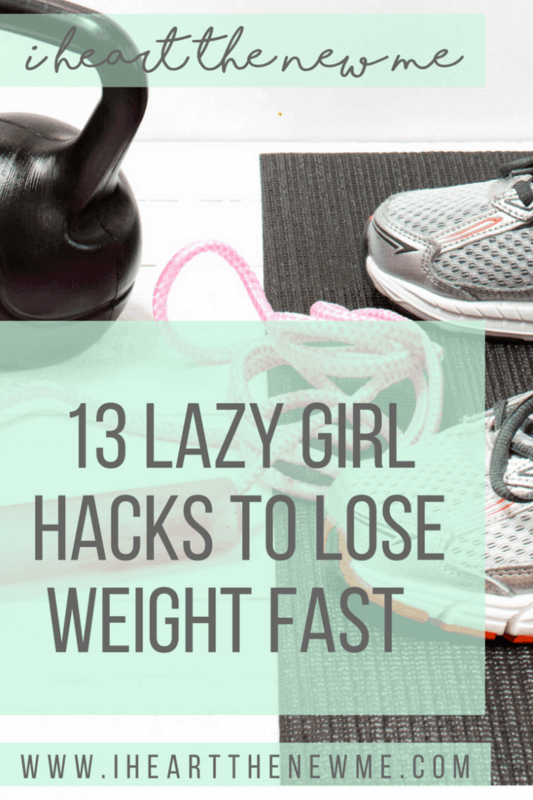 I promise you can put these simple hacks into action. Will you lose 50 pounds overnight? No. 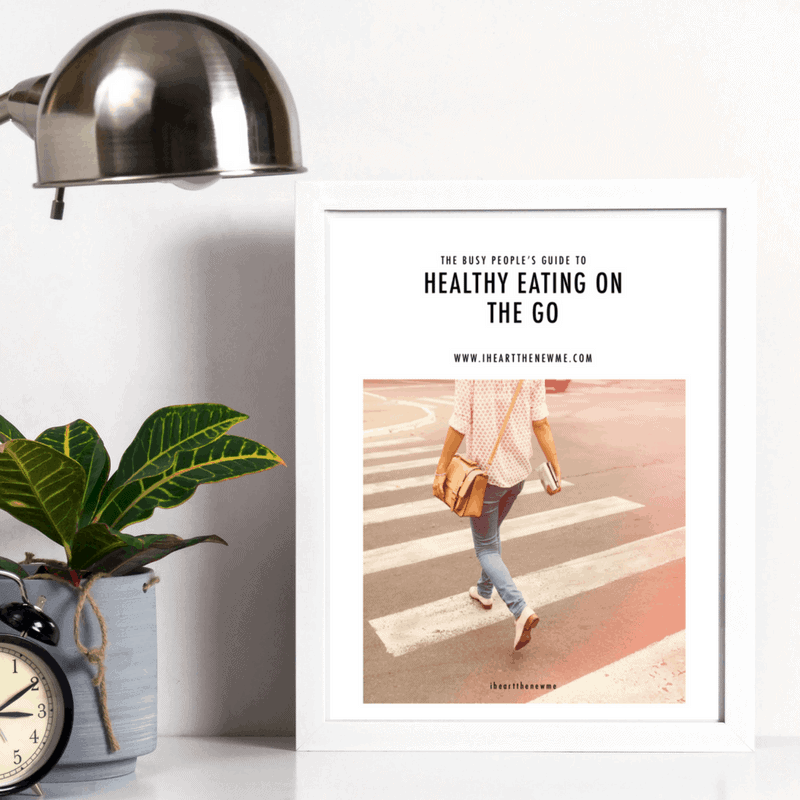 But three months from now you can either look in the mirror and see you weigh the same (or have put on more weight) or you can lose 20-30 pounds from just making these small adjustments to your life. You’ll feel better about yourself too! What are you trying to achieve? Having goals and a plan is more valuable than most people think. The process of setting goals and writing them out helps trigger positive behavior. So instead of just winging it and eventually falling off track, you need to establish some goals. Write out your overall goal and break that down to help you come up with a plan to get you there! I like the fit book to help me keep track. Prepping your meals ahead of time can seem like a lot of work but think of it this way. You actually only need to cook once every four days, rather than daily. Get some and your meals will stay good in the fridge for at least four days (some people push it farther). It’s easy to just go out and grab some fast food when we get hungry so these are perfect for just sticking in the microwave real quick. Most people think planning meals takes too much work. Although in reality, it’s one of the smartest decisions you can make for your health and fitness and for your budget. After you do a little planning up front, you will have so much extra time to do fun stuff! Creating a meal plan will help you to not stray too far away from the healthy lifestyle diet that you are trying to create for yourself. You don’t have to deprive yourself, but you do need to limit foods with empty calories and be mindful of what you are putting into your body. You can eat and drink only healthy foods and continue to gain weight or not lose a pound if you are consuming excessive amounts. For our bodies to function properly, we need to consume a healthy variety of nutrients. Don’t get too wrapped up in the numbers. It’s not an exact science, but if you’ve tried a million different things in the past and nothing has worked to help you see results then this is most likely why. Your body is not getting enough of a certain nutrient (or multiple nutrients) and it can’t function properly. And carry it with you everywhere! Yes, drinking water is hard to do at first. But guess what? Your body will start to crave it after about a week. So are great especially when you’re first starting out. Drinking water before you eat fills you up. Water helps you to lose weight and so does eating less. Perfect combination don’t you think? Creating a workout plan will help you stick to what you are trying to achieve. One of the first things personal trainers do with their clients is come up with a personal routine that suits their client’s needs. Everyone is different so there is no one size fits all plan. It’s best to come up with a plan for the month since you will need to increase your weight amount and reps (depending on the workouts you want to do). Do some form of physical activity for just 10 minutes a day when you are first starting out. Just 10 minutes a day might not seem like it will benefit you, but plenty of people have lost weight that way. And the best benefit of just working out for 10 minutes a day is to help you form better habits without being too much, causing you to give up. We all know the endless benefits we can experience from getting daily exercise, but we still struggle to find the time (or motivation) to actually get to it sometimes. Short workouts are perfect for when you’re new to working out or when you’re just feeling lazy. It’s better to take baby steps than no steps at all. After you have been working out for 10 minutes a day for a month or so, you will have turned working out into a habit. Your body will still be getting benefits from the activity you’ve been doing, but at this point, you won’t be getting as many benefits as you were when you first started exercising. As our bodies grow stronger and our endurance increases, we must challenge ourselves to keep improving. Just working out for an extra 5 or 10 minutes would be enough. You could also simply increase the intensity and work out harder. These are the things that helped me go from unmotivated and out of shape to actually creating a healthy lifestyle.